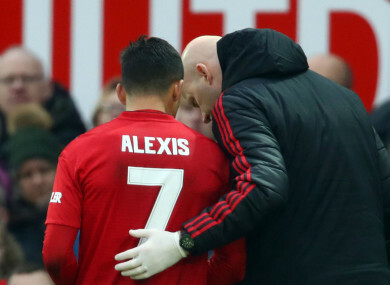 The Chile international went off with a hamstring problem during Manchester United’s FA Cup win over Reading. You know when you make nine changes it is never easy for a team to play together. Email “Solskjaer confident over Sanchez fitness ahead of Tottenham clash”. Feedback on “Solskjaer confident over Sanchez fitness ahead of Tottenham clash”.